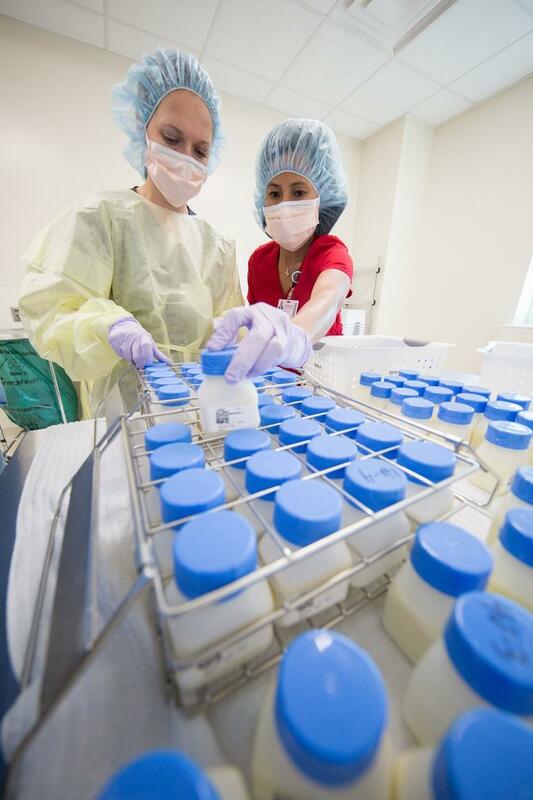 The milk bank bottles and pasteurizes breast milk donations. 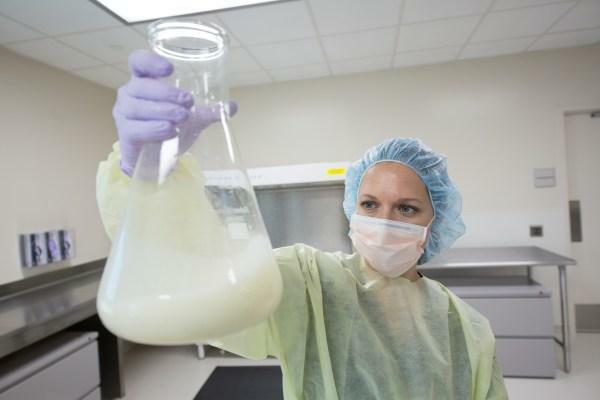 Montana Wagner-Gillespie manages the milk bank. She says breast milk is vital for infants in neonatal intensive care units, or NICU's. That's because breast milk contains antibodies that protect babies from disease and infection, and premature babies can be especially vulnerable to intestinal infections. But Wagner-Gillespie says mothers of premature babies are sometimes unable to breastfeed. "When a mom delivers a premature baby, her body's hormones could be out of balance. It's a very stressful experience," Wagner-Gillespie said. In cases when a baby is born extremely premature, the mother may not yet be producing enough milk to keep up with her baby's needs. That's where the milk bank comes in. Mothers who breastfeed an infant who is less than 2 years old can donate. The bank collects milk via shipped coolers or drop-offs in Cary. Wagner-Gillespie says it can be a good option for moms who have surplus milk stored in a freezer. The bank also helps bereaved moms who lost an infant to donate milk in their baby's memory. 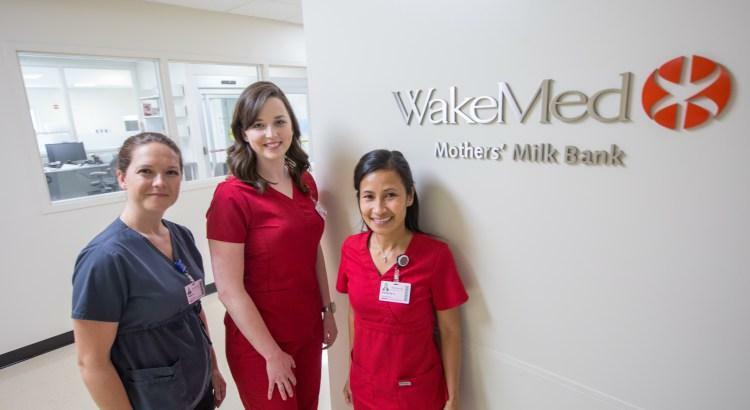 The WakeMed milk bank in Cary regularly distributes milk to about 50 hospitals in the Southeast. Gillespie-Wagner says the bank is always in need. Currently, the WakeMed bank only serves infants under intensive care. But with enough milk in stock, Wagner-Gillespie says it might be able to feed out-patient babies too, such as those recently released from the hospital or adopted. The bank relies on voluntary donations. It is a non-profit and does not pay mothers for their milk, but can help moms who have more milk than their baby needs. 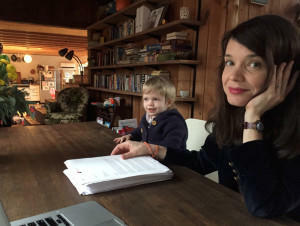 "Most moms don't know we exist until they end up having a surplus of breast milk in their freezer and they do a quick Google search," Wagner-Gillespie said. Contact WakeMed or visit their website for more information on how you can be screened to donate milk. The WakeMed system opens its new Women's Hospital today. The system's fifth hospital adjoins two other main buildings on WakeMed's Raleigh campus. The 61-bed women's hospital offers private delivery and bed rooms, lactation specialists, and postpartum care, says spokeswoman Debbie Laughery. "And we know that comfort in a calming environment leads to healing. So, if we can bring the quality care together in a tranquil environment, we believe the outcomes will be better." The women's hospital also offers general surgery, urology, gynecology and mammography services.